We have been in business for over 18 years. The longstanding relationships with our various clients have contributed to our ongoing success in the industry. We offer professional services by qualified staff in their respective fields. Custom Home Builder, remodels and additions. We specialize in luxurious designs with practical price by offering spectacular designs using modestly priced materials. We are a full-service residential, commercial remodeling contractor, and custom home builder with our primary focus in residential remodeling. 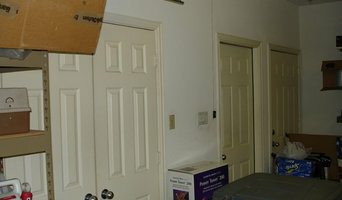 We have been in business in Irving for over 40 years. 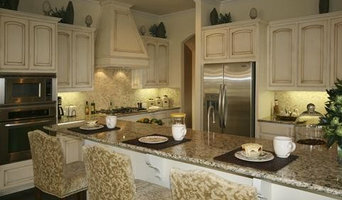 Key Custom Homes is a leading custom building & design firm in North Texas. The team has been in business since 1982 and specializes in both residential and commercial building. 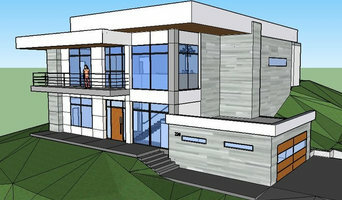 We design and build custom homes and light commercial buildings in the Dallas-Ft. Worth metroplex. Hedgefield Homes designs, builds and remodels fine homes in Fort Worth. The company was founded to revive the character and charm of great neighborhoods, one home at a time. With a passion for creating livable spaces and a deep respect for excellent craftsmanship, we believe a well designed home is a work of art with much of its true beauty expressed in its livability. Whether a client wants a new custom home or desires a beautifully transformed and functional version of their current house, Hedgefield is up to the challenge. We care about the tiniest details and work hard to ensure they integrate seamlessly into the whole home. Chalk Mountain LLC dba Geodesk Global is a Design-Build company which provides Site Planning, Engineering and Construction Services. Kingsbridge Capital is a fully integrated capital markets, construction program/project management, and real estate services company serving land/property owners, private developers, corporations, local governments, state/federal agencies, general contractors, architects/engineers, and real estate industry providers. Tekton Remodeling is dedicated to long-term client relationships and a passion for excellence. Beginning in 2003, Tekton Remodeling offers exceptional quality and care to clients through honest communication, exceptional craftsmanship and a desire to achieve a wonderful home. Brian Campion, a Baylor University and Dallas Theological graduate, seeks to bring the best possible construction experience to each client. With unique designs and a love for the client and their family, Tekton Remodeling will take you from the design stage, to job completion, to a friendship long after your home is well lived in. We have completed projects in Lake Highlands, Highland Park, the M-Streets, Lakewood, Preston Hollow, and other communities in and around Dallas. Visions Kitchen & Bath provides turn key remodel and design services.